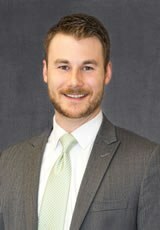 In January 10, 2017, Jordan T. Klein obtained summary judgment for his client in a property damage case held in Madison County, Illinois. The plaintiff sought damages for his broken patio door after Mr. Klein’s client allegedly struck it with an errant golf ball from an adjacent golf course. The Court held that plaintiff could point to no evidence of negligence on the part of Mr. Klein’s client. Judgment was entered for the defendant.